Bright light garnet color. Aromas and flavors of chocolate drizzled cherries, yams, warm berry-orange compote in a clay pot, and hint of bacon with a satiny, bright, dry-yet-fruity medium body and an even, interesting, medium-length finish with impressions of spiced praline, blood orange, and cedar with fine, dusty tannins and a suggestion of oak flavor. A lively, refreshing pinot that is sure to please. 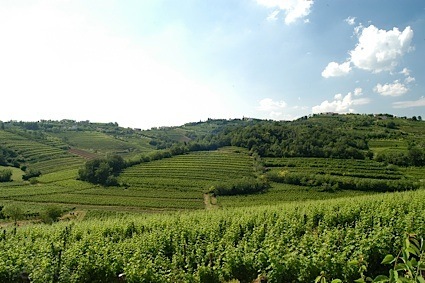 Bottom Line: A lively, refreshing pinot that is sure to please. 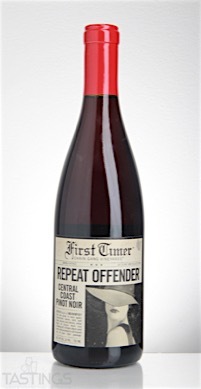 First Timer 2015 Repeat Offender, Pinot Noir, Central Coast rating was calculated by tastings.com to be 93 points out of 100 on 12/20/2016. Please note that MSRP may have changed since the date of our review.